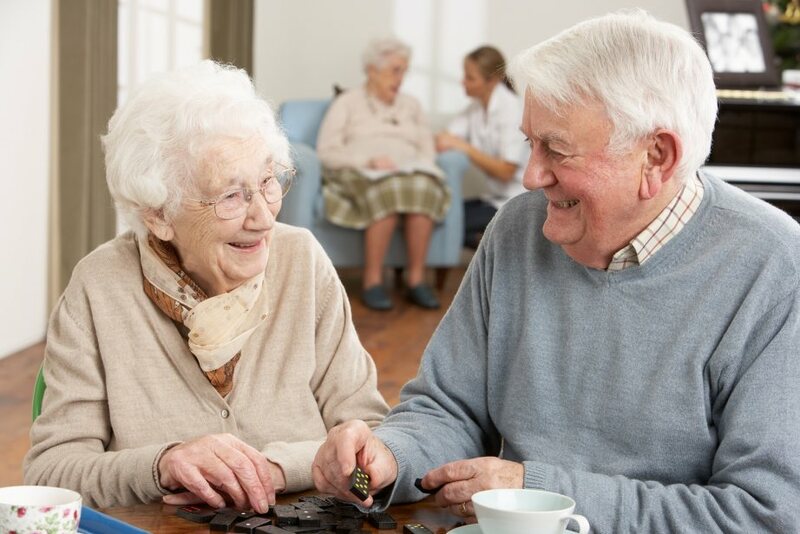 When you or a loved one have decided that it’s time to downsize from your current home and transition into an assisted living community or independent living apartment, the next step is to choose where you will live. This is a major life decision and should ideally be made when you are healthy and able to enjoy all that a community has to offer. When starting to shop local communities, make sure to fully explore all your options before signing paperwork, paying entrance fees or offering down payments. It’s widely recommended to visit highly-regarded communities rather than simply settling on one that is nearest to your home. Do they offer amenities not just for your current needs, but also for your potential future medical needs? Following are some essential points to note when touring communities. These will help to ensure that you’re making the best decision for you or your loved one, now and in the future. 1) Ask questions. Don’t be afraid to ask questions, and lots of them! While you’re touring senior communities, find out how secure the building is, if there’s an emergency system in place and if staff undergo background checks. Inquire about visiting hours for your loved ones and friends, and if overnight accommodations can be made. Learn what kind of social activities are offered and whether transportation is provided to off-campus appointments and events. If a question seems arbitrary, ask it anyways. It’s better to thoroughly investigate than leave wishing you knew more. 2) Enjoy a meal. The quality of food is very important to whole body health and happiness. To get a true feel for the dining service, don’t just attend an open house. If possible, join the residents for a regular meal on a typical day. And of course, find out if the kitchen can fulfill special dietary requirements and make allowances for food allergies. 3) Go with your gut. If it seems particularly difficult to make a decision, remember take a break, sleep on it, and always trust your instincts. Did it seem like you or your loved one would be happier at one place over the other? Did you like the décor better, or were the staff slightly more welcoming at a certain community? In the end, it’s important to go with where you feel you’ll be most comfortable. 4) Notice the quality of the building and grounds. Note how well-maintained the parking lots, walkways and landscaping are as you’re entering the building. There should be some outdoor areas for residents to relax and enjoy the fresh air. Once inside, examine how clean the halls and especially the communal areas are. The community should smell as fresh as possible. 5) Look for online reviews or feedback from residents. 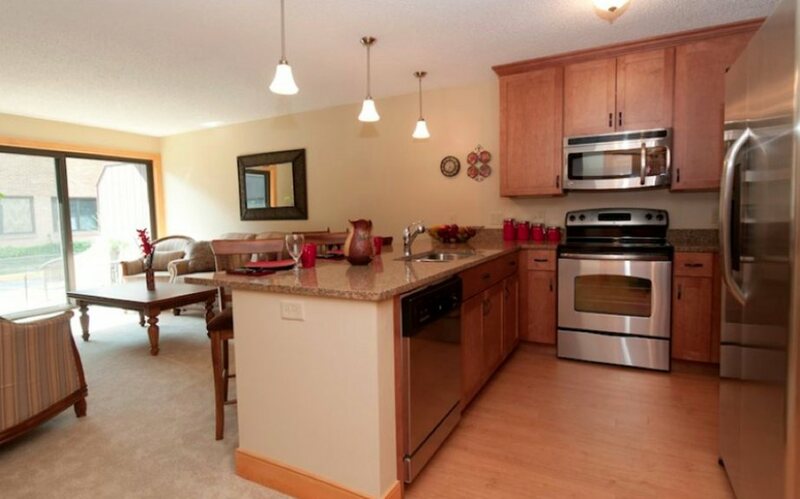 During your tour, ask residents first-hand how they feel about living in the community. Or, look for reviews on the internet to see what others are saying, and keep in mind that reviews are personal and subjective. Measure the ratio of negative to positive reviews, and read the ones that seem especially sincere and helpful. 6) Meet the staff and residents. On your tour, talk to the staff members as well as the residents. Take note of their attitudes; are they courteous, friendly, and most important of all, generally happy to be there? Do the residents look like they are engaged and energized? This can be a very telling source of insights. We invite you and your loved ones to tour Thorne Crest! 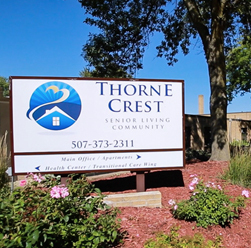 For more information about senior living near Albert Lea, MN, and the options available at Thorne Crest, contact us today at 507-373-2311.